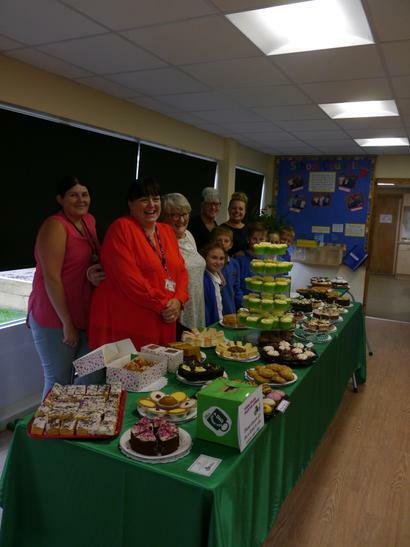 A big thank you to Mrs Hill, a number of parent volunteers and our School Council who organised yet another successful coffee afternoon for Macmillan! A big thank you for those of you who donated cakes and attended the event giving generously. Sadly these days, I don't think there is anyone of us who hasn't had experience of someone we know and love affected by cancer and this was evident from the incredible turn out and generous giving. I think everyone was taken by surprise from the numbers of parents that turned up. It was a bit of squash in our tiny hall, but well worth it. We have learnt for next year though to have lots more cakes and the cake stations spread out! You have raised an amazing £450 for this incredibly worthy charity. A great big thank you!